It's a good time to be a cord-cutter in the U.S. A new study says that 47% of all American households subscribe to Netflix, Hulu Plus, Amazon Prime or a combination of these. And almost half the country has at least one internet-connected TV set. The survey about emerging video services, published by the Leichtman Research Group, also has other statistics that should worry cable providers. For instance, the number of Netflix subscribers who also pay for cable TV has been steadily falling. It was 80% in 2014, compared to 85% in 2012 and 88% in 2010. 48% of all non-subscribers to a pay-TV service get Netflix — compared to 29% in 2012, and 16% in 2010. 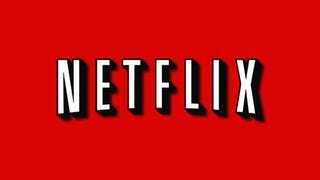 15% of Netflix subscribers agree that their Netflix subscription is shared with others outside their household. On a daily basis, 31% of adults watch video on non-TV devices (including home computers, mobile phones, iPads, tablets, and eReaders), and 58% weekly — up from 18% daily, and 46% weekly two years ago. Including connected TV sets, 34% watch any over-the-top video daily, and 61% weekly.